Lately, my gaming activity has been limited by a sore wrist. However, I recently picked up a game on the PS4 and was playing it for longer periods than I should, but I noticed something; my wrist wasn't bothering me. In combination to how long it took me to adopt the controls, I realized that game controllers are really important, not only for comfort, but also game design. If you want my opinion for the best controller, you won't get one. This is because each controller has its positives and negatives. None of them is perfect for all games, but the games that were best for console used the controller perfectly. You may know that I love playing games on the Wii U gamepad. Even though I hear the Pro controller is great, I haven't bought one because I like the second-screen/off-tv experience. Of course, the controller is far from perfect. The position of the right stick is perhaps one of Nintendo's biggest blunders with its design. Though, when I hold it, I can understand why they chose that layout. My problem with the right analog stick is that the player's thumb naturally rests on the right control stick if he is going to use the left control stick. If Nintendo made a lot of twin-stick games, that's perfect, but they don't. A corollary to that is the thumb is on the D-pad if the player wants to use the buttons. Great for 2D games like Fire Emblem and a lot of virtual console titles, but not ideal for 3D games. The layout on the New 3DS XL is slightly better, but it's countered by the bad ergonomics of it being flat like a phone (which is also bad). 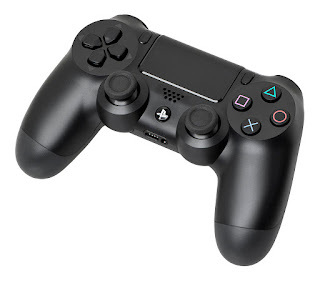 So the PS4 controller has good ergonomics, and being light makes it easier on the wrists, but it has two problems. First, the design makes it so the + buttons are never used on the left side. It's very rare that I touch them. This also makes it so that 2D platformers are not ideal for the system. However, my main complaint is the X, O, etc. buttons. They aren't intuitive and never were. They may become second-nature regular gamers, but never to newcomers or casual players. I recall playing a PS2 game and when the parts that required a random sequence appeared, I would always be at the disadvantage because I didn't know where they were located without looking at the controller. This problem is most profound on the Playstation controllers, but it's the same everywhere. When I played Dungeon Defenders, I often mistook X for Y which would make my friends laugh because of how often I got it wrong. What I eventually realized was that since I was playing Batman Arkham Origins on the Wii U at the time, I was used to the buttons being switched. This is because A, B, X, and Y are also relative though this time it's Microsoft's fault for making the change in the first place. The best solution is actually the easiest and most baffling it hasn't been done; arrow buttons. The original C buttons on the Nintendo 64 controller are the most intuitive button layout when dealing with four buttons. Of course, that is one way to do it, and perhaps is best when you need to press button combinations of more than two quickly. I say that because there is a good layout for when you quickly need to press between two buttons; the Gamecube controller. That massive A button was brilliant to a certain degree. This is because it made the most important button the easiest to press. The button you press the most should be the easiest to access. That is where the player's thumb should naturally be. That is why the X button on the Playstation controllers (the bottom one) is the key button. It's the same on the Xbox controllers (the bottom one). 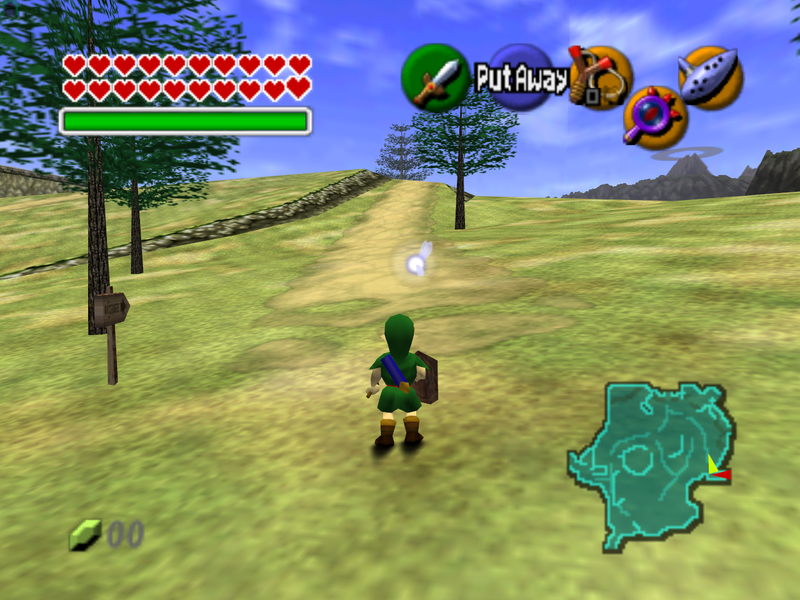 If you think about the Gamecube layout, it's similar, you want to be able to easily access all the buttons from where your thumb naturally rests. There, the A button gave easy access to the other three main buttons. On the Xbox and Playstation controllers, it trades a button for the right control stick. The Wii U gamepad is similar, but it's the opposite. You thumb rests on the top button instead of the bottom one. This is mostly a problem because the most common buttons to press in Wii U games are still A and B (Right and Bottom). Something you may have noticed if you look at controllers is that some aspect tends to always be ignored or not nicely designed. I mentioned the PS4's left side. 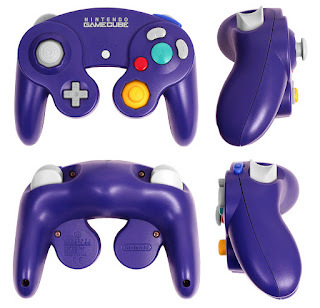 The Gamecube's d-pad was also a pain to use, and the C-Stick (the yellow one) was better but not perfect. The Xbox controller's d-pad is also pretty bad. The Nintendo 64 almost never used the d-pad as well. I also did not care for the Super Nintendo's L and R buttons. I did not even knew they existed for a long time. Controllers are incredibly important. They help guide game design for a specific console. The Wii Remote made it easy to play bowling, tennis, and swordfighting, but a bit painful in games that required a lot of pointing. So while Rodea the Sky Soldier is a fun Wii game, it can be a bit uncomfortable for long periods of time. Nintendo's best solution would be to develop a controller that is slightly bent so that players don't have to bend their wrists all of the time for pointing games. Of course, that would sacrifice access to some buttons which is a balancing act. When you design a game, it's important to take into account the controller the player will be using. This is one of the many reasons why Wii U games are a different experience than the Xbox and Playstation versions. You also need to understand the accessibility for controls. As I mention before, the most important button should be the one your thumb rests on naturally. You can actually get away with the button the players uses the most not be the main button. The main button should be pressed the most, but it's more important that it's the button pressed in times of instinct. To illustrate that last point, consider Mario and look at the Gamecube controller. In that game, B is Run while A is Jump. You will probably hold down B the most on because that's how you will run. However, Mario is a platformer, meaning you might not need to run, but you must jump. This means your finger may be on B longer, but A is still the most important. When it comes to timing, you don't want to look at your controller to find that important button. In addition, A's size and location also makes it easier be the button to advance through dialog. Another aspect to consider is your button sequences. If your game often requires three different buttons to be pressed in order, you want to make that smooth. This means you want to start maybe with the main button and work clockwise if it's for a Playstation or Xbox. On the other hand, if it's the Gamecube, you want to start with B and then work your way to A and the X.
I hope you enjoyed this look into game controllers and how important they are to game design. While no controller is perfect for all games, good games know how to use a controller effectively. 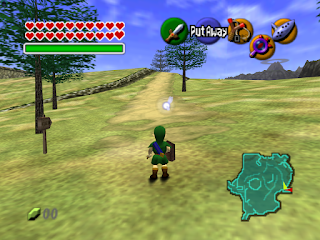 The result is that the player may not even look at the controller, but still maintain complete control of the game. When this happens, he is better able to master the game and the game becomes a classic.